WHILE the financial crisis rages around them, leading US politicians are accused of making millions of dollars through loopholes in insider-trading laws and lucrative land deals assisted by government funding. Members of congress, who are worth more than $US2 billion ($1.94bn) between them, increased their personal fortunes by almost 25 per cent between 2008 and last year, a period marked by falling stockmarkets and investor confidence. 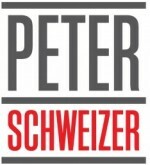 In Throw Them All Out, a book published in the US overnight, Peter Schweizer argues the political class enjoys a legal framework that allows members to make multi-million-dollar Wall Street deals free from the scrutiny of insider-trading laws or conflict-of- interest legislation. I liked you on Ingram today. Nice to hear the truth, no matter how bad it is. What an excellent piece of research! This will be a very big discussion point for a long time to come. Well done! You don’t know me, and I hardly know you, but, there is something seriously obscene when people we elect in good faith create an environment to abuse that priviledge. I will do anything to facilitate the educating of the masses to this absolute abuse of office. You have articulated something I have felt for years and, furthermore, documented the BS going on for the average guy. Thank you for your efforts to enlighten. Let me know what I can do to help throw them all out.